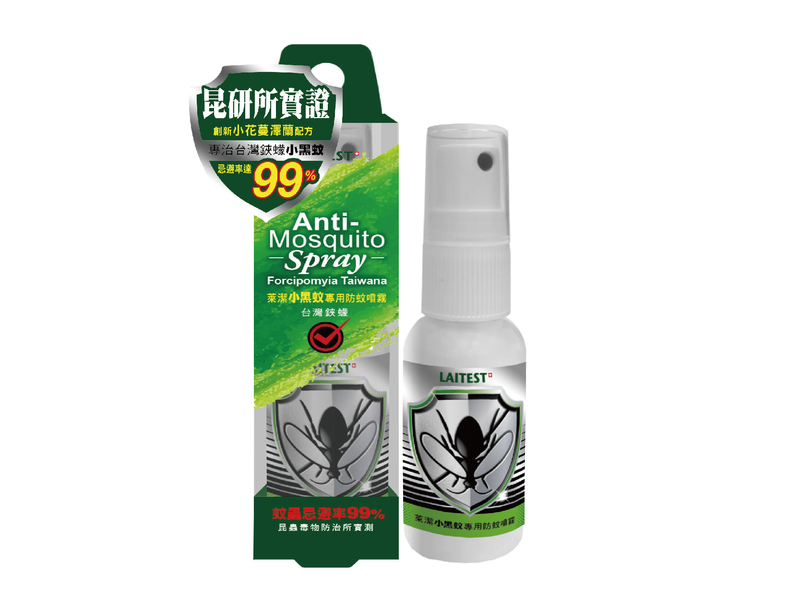 LAITEST ANTI-BUG/MOSQUITO SPRAY - Surface Spray Series - TAIWAN STANCH CO., LTD.
►Mikania micrantha the prevention of Forcipomyia taiwana. ►100% repellent effective against mosquitoes for around 2-3 hours. ►DEET free, Alcohol free, Formaldehyde free, Heavy metals free. ►Natural materials without fragrance and colorants, suitable for the skin of adults and children. ►Hold the product approximately 10-15 cm from object while spraying.